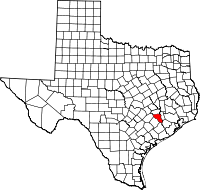 Austin County is a county in the U.S. state of Texas. In 2010, 28,417 people lived there. The county seat is Bellville. This page was last changed on 31 July 2018, at 16:08.